"ICT is always in the process of development, and the rapid techniques required in practice are rarely offered in education." 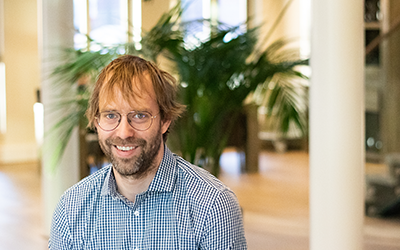 Frank Arnold joined TRIMM as a system engineer for two days a week since August 2018. He also works three days a week as a teacher at the ROC van Twente in Hengelo. In this interview he gives an insight in the world of a hybrid teacher. "Despite the fact that my internship is over, I can continue my career at TRIMM as a working student!" 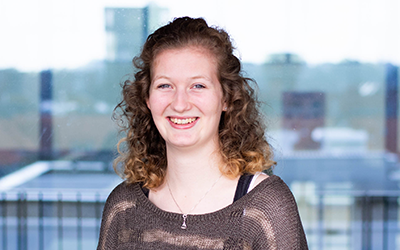 Leonie Sijtsma was a trainee in the application maintenance team at TRIMM. In this interview, we’ll talk about her choice to work at TRIMM and what her day looks like. “I glue a lot of things together, this may sound odd, but I am responsible for connecting design and development." 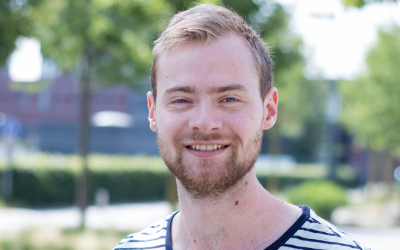 Berend Swennenhuis is a front-end developer at TRIMM. In this interview he tells us how he got here and how he uses his developer-skills to fire his bow in his spare time. 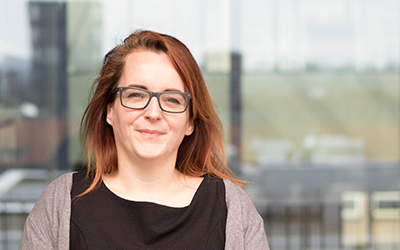 Nikki de Wals is a User Experience designer at TRIMM. In this interview she will elaborate on the reason why she chose to work at TRIMM and her personal motivation to develop the ultimate application for grocery shopping. 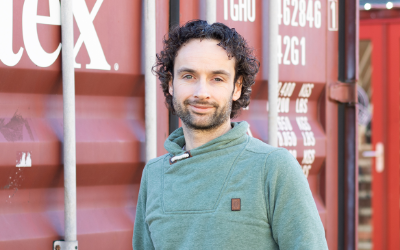 Christian van den Berge is Digital Marketing Consultant at TRIMM. We asked him all about digital marketing, data and a running competition of 62 kilometers in this interview. 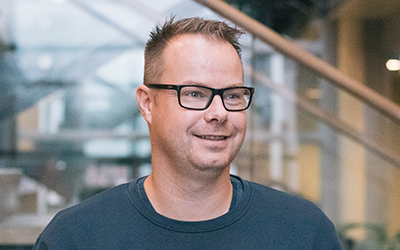 "It's great to see TRIMM is committed to promoting craftsmanship"
Jesper Jeeninga works as a tester at TRIMM. In this interview, we've challenged him to convince us of the added value of the testing profession, the company TRIMM and the Friday afternoon drinks.